Once a bustling rail yard and transit hub, Potomac Yard today is a shopper's’ paradise and tight-knit neighborhood in Alexandria. The waterfront location includes Daingerfield Island and walking trails, a sailing marina, several Potomac Yard apartments and multi-family communities, 23-acre Potomac Yard Park and athletic fields, as well as the large retail footprint of the Potomac Yard Center, a 589,856-square-foot shopping center surrounded by restaurants and the 16-screen Regal Cinemas Potomac Yard movie theater. Potomac Yard is always changing, thanks to the area’s historic redevelopment and Alexandria’s involved city council that continually presents new ideas and projects for review. There is currently work being done on a brand-new $268 million neighborhood Metro station just outside Potomac Yard apartments, set to open sometime between 2018 and 2020. Other local transportation includes the Metroway, a newly created bus system that links Potomac Yard to Crystal City and Braddock Road, and nearby US-1, I-395 and I-495, which connects the area to nearby Washington, D.C., simplifying the commute for those working in the Capital City. It’s no surprise that shopping is one of the most popular attractions in Potomac Yard, with the Potomac Yard Center and its popular anchor stores taking up such a large part of the area, but there are other businesses and entertainment options to be found close to Potomac Yard apartments and residential areas. Old Town Alexandria is just 1.5 miles from the southern end of Potomac Yard, which boasts unique shops, galleries and locally owned restaurants lining charming cobblestone streets; Del Ray is located directly to the west of Potomac Yard, often called “Well Ray” for its array of healthy, holistic businesses, but also featuring a fantastic restaurant scene and the iconic Birchmere Music Hall; and Carlyle is less than 3 miles from Potomac Yard, offering what the city calls “Alexandria’s contemporary answer to historic Old Town” with restaurants, parks and the National Inventors Hall of Fame at the U.S. Patent & Trademark office. 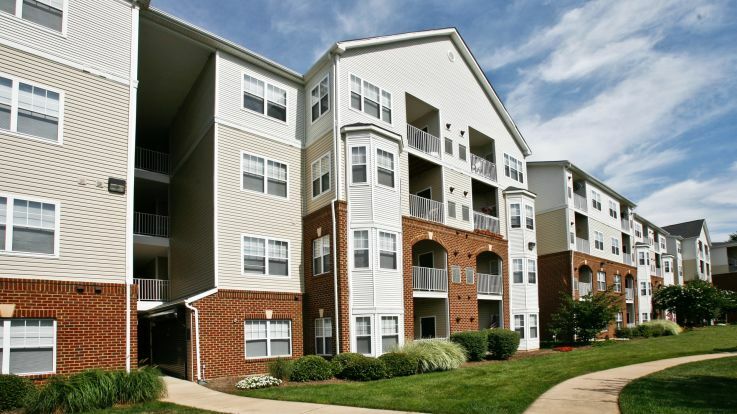 No matter where you’re going in Alexandria and beyond, the convenience of Potomac Yard apartments is unmatched, especially for commuters headed to the Federal City for work and play. What was once a flurry of train tracks and one of the largest rail yards on the Eastern seaboard is today a fantastic place to call home with plenty of developments planned for the near future.